I always enjoy participating at anime20in20, and this round was no different! For those of you who haven't tried a 20in20, it's a great challenge, and the themes are always super fun~ I highly reccomend it! 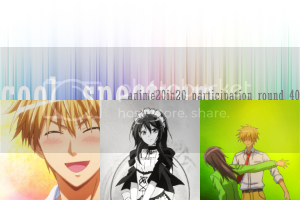 Now go check out anime20in20 for yourselves!